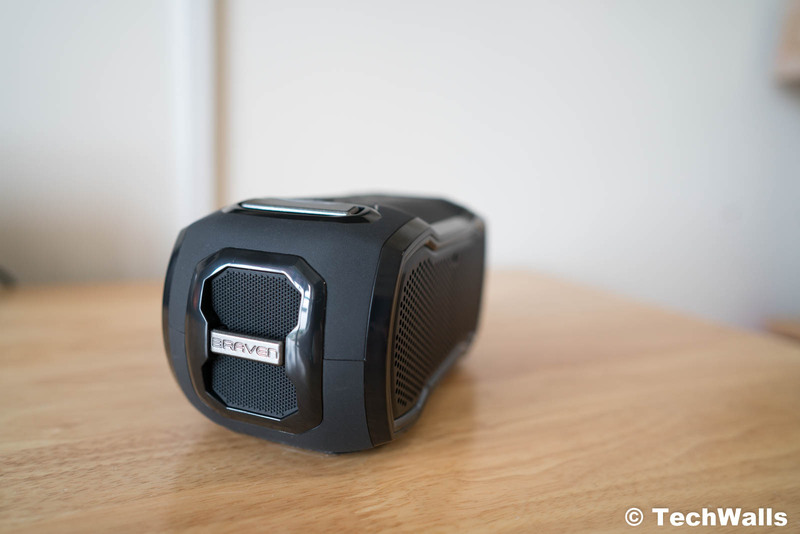 Braven has been well-known for making rugged Bluetooth speakers that are suitable for outdoor uses. I’ve tested some of them and they all have amazing audio quality as compared to other waterproof speakers. 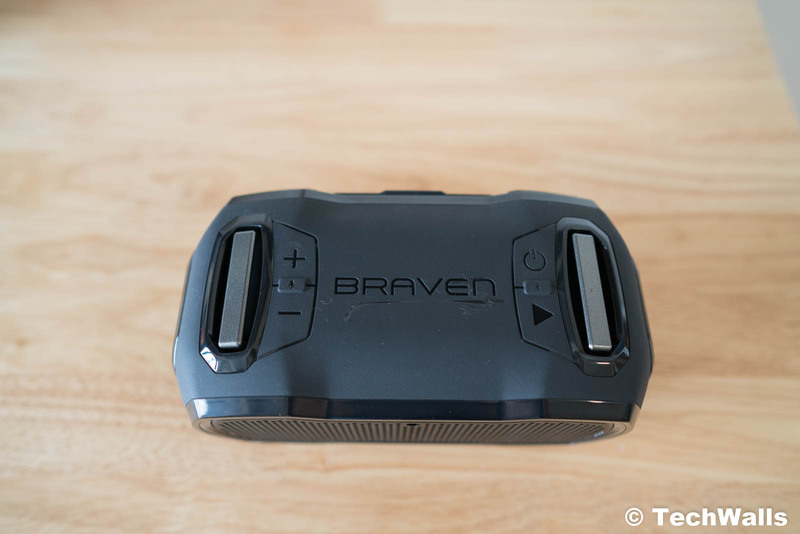 In this post, we’re checking out the Braven Ready Pro. The Braven speaker comes in a very nice packaging with clear plastic. It has a removable mount on the bottom that is compatible with GoPro mounting systems. Inside the box, you can also find a micro-USB charging cable, a carry strap, and an Allen wrench to remove the mount. All ports are hidden on the back of the speaker. 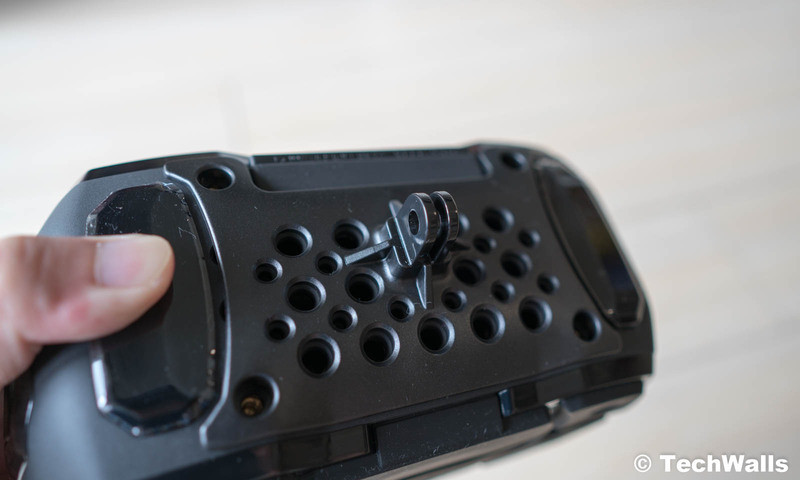 Once opening the rubber cover, you can find the reset hole, a battery check button, a USB-out charging port, an AUX in, and a micro-USB charging port. Buttons are placed on top of the speaker, including the Power, Play/Pause, Bluetooth, Volume Up/Down, and phone call buttons. I’m just a little disappointed as there is a long scratch on the top surface although this is a brand new product. The Braven Ready Pro has a very durable construction. 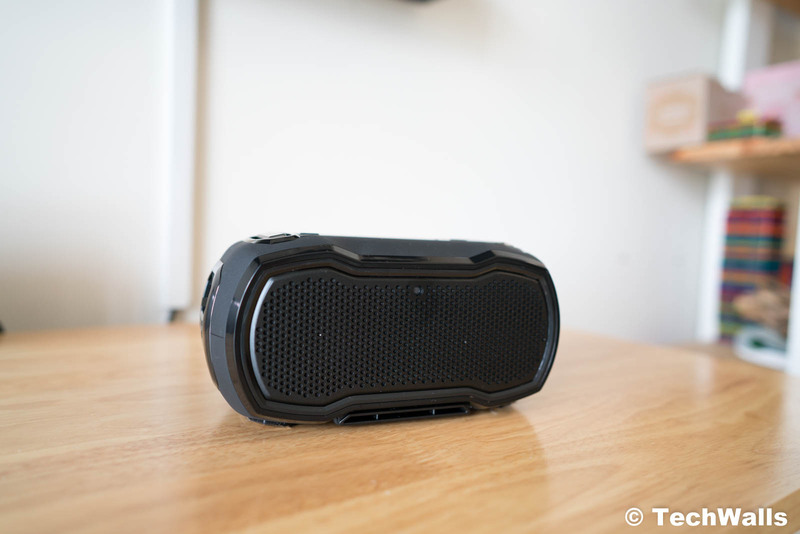 Besides, it features the IP68 waterproof rating, the highest rating you can find on Bluetooth speakers. The speaker is not too big if you’re looking at the front, however, it is much thicker than most Bluetooth speakers on the market. The battery life of the Braven is quite good as it could reach 14 hours at a medium volume level. Notably, the speaker allows us to pair it with another Braven Ready Pro speaker to create left and right channels. The only downside is that it can’t be placed in the vertical position. Another interesting feature is the LED flashlight on the front. It can be turned on/off by quickly pressing the power button twice. In case you want to customize the speaker further, you can install the Braven Ready app to adjust EQ settings, disable buttons, or power on/off the speaker. I’ve used many Bluetooth speakers at this size but none of them could sound this good. I also played it to some of my friends and they all agreed that this is the best sound they’ve ever heard from a rugged Bluetooth speaker. It’d been a long time I couldn’t enjoy music on a Bluetooth speaker, the Ready Pro really surprises me. I couldn’t believe I could listen to music from a small Bluetooth speaker for hours. The music is smooth with clear vocals and adequate bass response. However, it doesn’t mean that the sound is perfect. There are still some limitations of a waterproof speaker. The sound is a little boxy, especially when you are not sitting in front of the speaker. This can be fixed if you own two units and pair them together to create a stereo system, however, many people don’t want to pay more to use this feature. The speaker can play very loud, it can easily fill up my living room and I still can hear everything clearly outdoors. Another advantage is that there is little distortion at high volume. 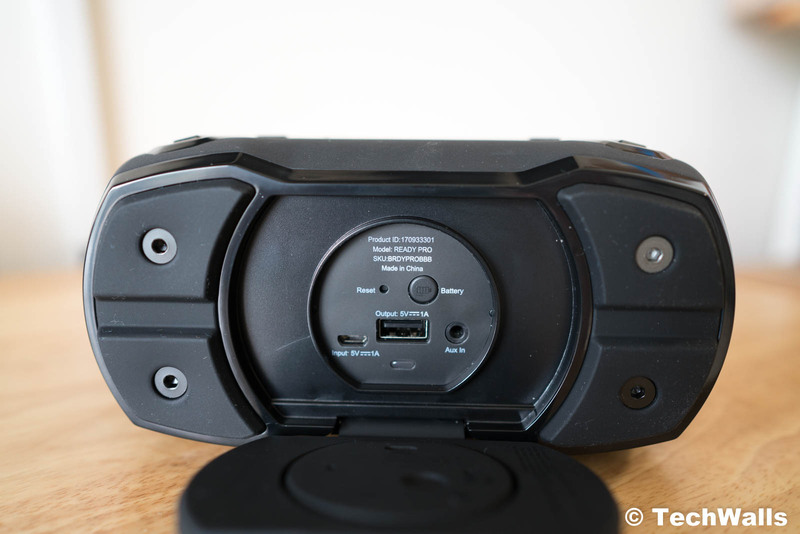 Overall, Braven once again proves that they are capable of making good-sounding rugged Bluetooth speakers. We highly recommend the Braven Ready Pro if you’re looking for a speaker to use outdoors this summer. A waterproof Bluetooth speaker with decent audio quality.